Is Rio Real golf course open to the public? Yes. Rio Real is open to the public every day. What is the distance from the airport in Malaga to Rio Real? Rio Real is 50 km from the international airport in Malaga. Approximately 40 minutes by car. Is it necessary to reserve your tee time? We recommend that all players reserve their tee time. You may reserve on-line with just one click here. When should the reservation be paid? We ask for payment at the time of reservation. If I have to cancel my reservation, what are the conditions of cancelation? Please make sure to read the Cancelation Protocol before finalizing your reservation. Also, we have available for your review our Weather Protocol. Is it a requirement to play with a buggy? Since it is a safe course, it is easy to play on foot, although players who prefer to reserve a buggy may do so. The use of buggies on the course will depend on the weather conditions and will be confirmed by the caddy master at time of your arrival. Yes, Rio Real does have manual hand carts available. Electric carts are also available but must be reserved ahead of time by e-mail or on-line. Does Rio Real rent clubs? Yes, Rio Real offers a club rental service and must be reserved ahead of time by e-mail or on-line. Is it possible to rent golf shoes? No, however in our pro shop we offer a wide range of golf shoes for our clients to buy. 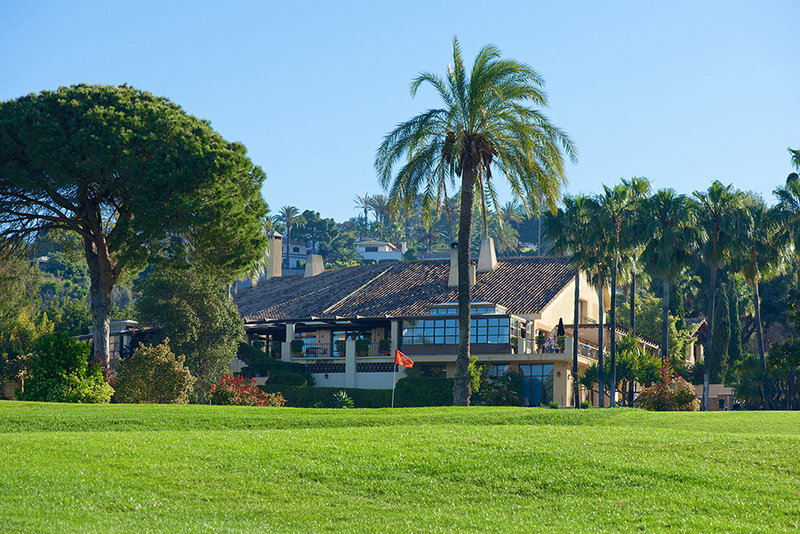 What is the maximum handicap for playing at Rio Real? The maximum handicap for ladies is 36 and for gentlemen, 28. In the case of having a handicap superior to the maximums permitted, we ask you to consult with the Reservation Department for available hours, especially in high season and always respecting the rhythm of play. Is there a dress code for playing at Rio Real? Yes, the workers at the Club are required to alert any players who do not comply with the dress code policy. If we are 2 players, does Rio Real guarantee we will play alone in our game? And if we are playing in a group? In the case of exclusivity, Rio Real offers the possibility by paying for a complete game of 4 players. In the case of groups, Rio Real will try and reserve consecutive tee times whenever possible, however we cannot confirm exclusivity unless a complete game of 4 players has been paid. Does Rio Real have a practice zone? The Driving Range is situated 100 meters from the golf course with 12 covered posts available to our clients. It is free for individual use and you only pay for practice balls: 1€ x 20 balls and the machine works with 1€ coins. In the case of groups with a Pro, we accept reservations for a maximum of 8 posts and the price is 10€ per person per hour and includes unlimited balls. There is an additional cost of 20€ for the external Pro that brings the group or individual clients. The putting green and approach zone is situated next to the first tee. What are the conditions for PGA Professionals? The Golf Professionals will be given one courtesy green-fee per year with a minimum of 3 paying players. They must communicate their status of Pro when making the reservation and their accreditation must be shown to make a copy of. Does Rio Real offer a Junior rate or discount for a second round in the same day? Yes. The Junior younger than 16 years old will enjoy a special 50% discount applied to the official green fee price of the adult that accompanies them. Players who are interested in playing a second round in the same day, can enjoy a 50% discount off of the green fee paid in the morning. Can non-players accompany, walking or in buggy, the paying players during their game? The request should be directed to the caddy master, who will make the final decision depending on the availability on the course, and in all cases will be done at the visitors own risk. In no case are animals, babies or children under 3 years of age permitted on the course. Minors under 16 years old are not authorized to drive the buggies and any consequence that occurs under wrongful usage, will be the responsibility of the accompanying adult. Are there changing rooms with showers and rooms to store clubs? Yes. Rio Real has changing rooms and a club room for gentleman and ladies. The changing rooms have showers and towels for our clients and lockers to store their personal belongings. The caddy master will give you a key. We recommend not to store valuable objects as Rio Real is not responsible for loss or stolen property. In what holes can I find bathrooms? Can I buy refreshments at some point during my game? Yes. There is a post for refreshments in the hole 10 and the buggy bar is a service that Rio Real offers, as long as there is availability on the course. How can I become a member of Rio Real? The Club Rio Real was inaugurated in 1965. We sell participation rights, however you can become a member by paying an annual fee and the number of members is limited to 150. Is there WIFI available at Rio Real? We have WIFI access free of charge for our clients and the Pro Shop and Club House. The password is available from the caddy master or our Restaurant personnel. Is there a nearby hotel that Rio Real can recommend to their clients? How can I reserve a table in the Club House Restaurant?